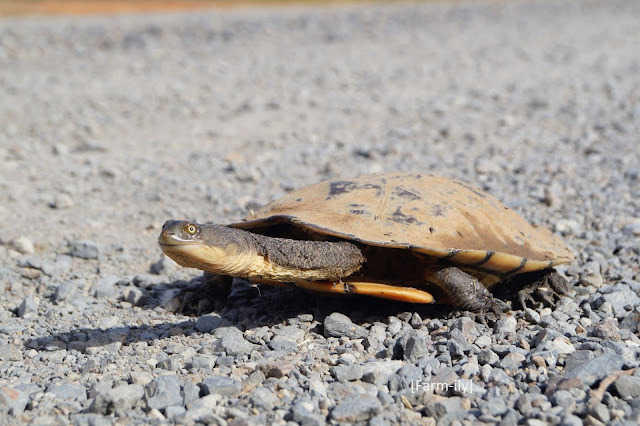 Murray River Turtle out for a wander. I love that eye---- He looks a bit worried. It never occurred to me that there would be turtles in the river. Never knew there were turtles in the Murray River...nice capture.